In pursuance of the Budget Announcement 2017-18, a National Testing Agency (NTA) has been established as an autonomous and self-sustained premier testing organization as a Society under the Societies (Registration) Act, to conduct entrance examinations for higher educational institutions in the country. The new agency will replace the roles of Central Board of Secondary Education (CBSE), which was responsible to conduct examinations like, UGC-NET and All India Council for Technical Education (AICTE), which was responsible to conduct examinations like CMAT and GPAT. The first examination under the newly constituted NTA will be the UGC-NET in December, 2018. The other examinations will be undertaken by NTA from 2019 onwards. 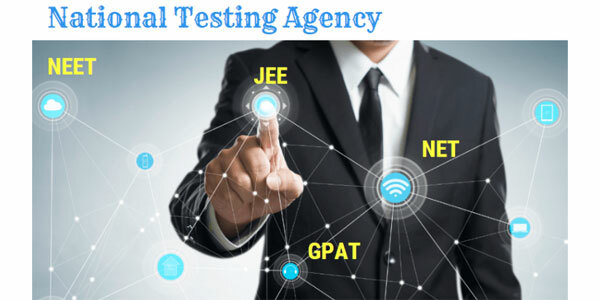 NTA will be conducting above-mentioned examinations in Computer Based Testing (CBT) mode twice a year, thereby giving adequate opportunity to candidates to bring out their best. To support students from rural areas, NTA will locate the examination centers at sub-district/district level and will provide hands-on training to the students, as far as possible. Shri. Vineet Joshi, the former Chairman of CBSE is appointed as the Chief Executive Officer of the newly constituted National Testing Agency.